Gruppo Mastrotto begins 2018 under the banner of interior design. 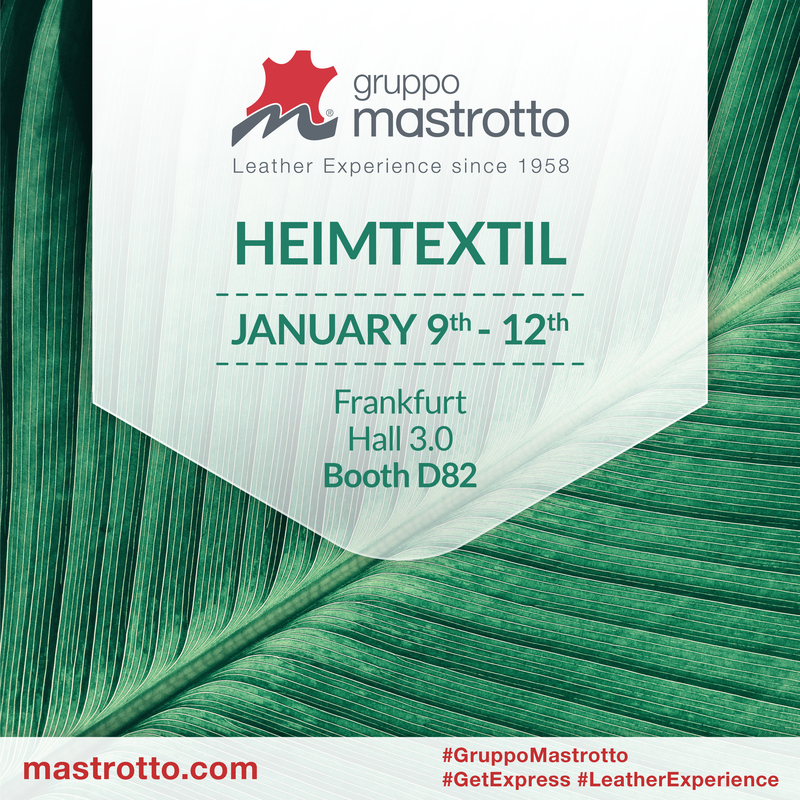 From January 9 to 12, the group will participate in Heimtextil, the largest international trade fair in the sector, presenting its own leather furniture collection, contract and hospitality in a vertical garden setting, evidence of the attention for environmental sustainability that has always been a priority for Gruppo Mastrotto. Visitors will have the opportunity to discover our new “LIFE” collection, consisting of chrome-free leather with vegetable extracts, finished with a water-based treatment, resistant, soft to the touch and with a matt finish. They will also learn about the 1,100 colours and articles of Gruppo Mastrotto Express, leather articles always available even in small quantities and orders that are processed in just 48 hours.